Whether your daily work takes you into the field, inside large facilities or complex underground work environments, assurances that someone—anyone—knows where you are at any given time allows you to do your job with confidence and peace of mind. But are manual check-ins or the buddy system enough? Do satellite pucks provide your team with the right automatic detection capability or work indoors?? You may find yourself questioning these very topics as you scale the side of a building, operate heavy-duty machinery or complete survey work in a remote locale. When something happens and your protective equipment and safe work practices aren’t enough, how fast will an emergency response team arrive to help you when you’re working alone? While some employees fear breach of privacy, lone worker monitoring technology is designed to track their safety—not the length of their lunch breaks or how long it takes them to drive between sites. While heavy investments in personal protective equipment, processes and policies are valuable, when a safety incident occurs—for that specific individual—that investment has failed. You need to manage the most efficient emergency response possible. Are your current safety investments effective and capable of helping your employees in need—in the fastest possible timeframe? Although you’re an expert in your field, you recognize the importance of staying safe in any environment, under all circumstances—especially if you are a lone worker. Lone worker safety monitoring technology is being broadly adopted by leading organizations across all industries.. 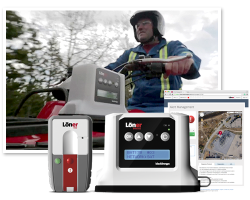 Employers around the globe are leveraging lone worker solutions that trigger a real-time emergency response to direct responders to the employee’s precise location—and make a difference. Our solutions alert monitoring personnel of a safety incident, locate the employee and empower the most efficient emergency response possible. Do you buy a coffee, Tea or another beverage each day? Our Loner Complete program delivers everything needed to deploy leading safety monitoring technology for roughly the cost of a daily cup of coffee per employee. Every employee’s life is worth more than a coffee per day. Connect with us—we can give you the tools you need for a cost-effective solution that improves efficiency and most importantly—saves lives. next post »Are health and safety programs linked to market performance?